The property, called The Mountain, is 157 acres and sits on the highest point in the 90210 area code. One owner could buy the property and build a 1.5 million square foot compound — with three structures of up to 500,000 square feet. Its southern views range from Downtown L.A., to Orange County, Catalina Island and Santa Monica. It’s only five minutes away from the Beverly Hills Hotel, but the nearest neighbor is over a half-mile away, offering convenience and privacy. The property also comes with a private road and millions of dollars in land improvements, including a 16-foot-tall stone security gate, landscape lighting and more than 500 trees. Land prices in Beverly Hills and L.A.’s “Golden Triangle” have sky-rocketed in recent years, as spec builders and home buyers battle for the best perches above Los Angeles to build their dream homes. 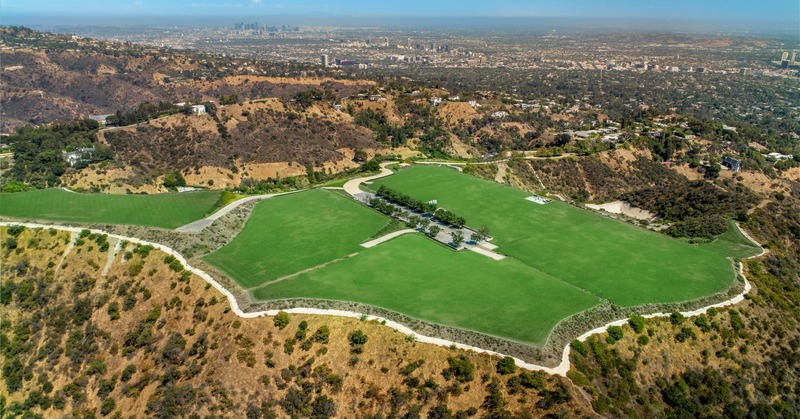 Evan Metropolous, whose family owns Twinkies, paid $65 million for the two-acre former Danny Thomas Estate in Beverly Hills, which will become the site of a new home. Yet as luxury housing slows, and foreign buyers fade, it remains to be seen whether anyone will pay near $1 billion for a piece of land.